Avocados grow on trees which have been grafted. This means that the tissue of avocado seedling has been mixed with the tissue of a fruit-bearing tree, resulting in a tree that will produce big, tasty avocados. Although an avocado can grow from a seed, the tree that results from this does not usually bear fruit for up to 10 years, and if or when it does bear fruit, it is not fit to eat. Young avocado trees (grafted) can be purchased at a local nursery or garden center. 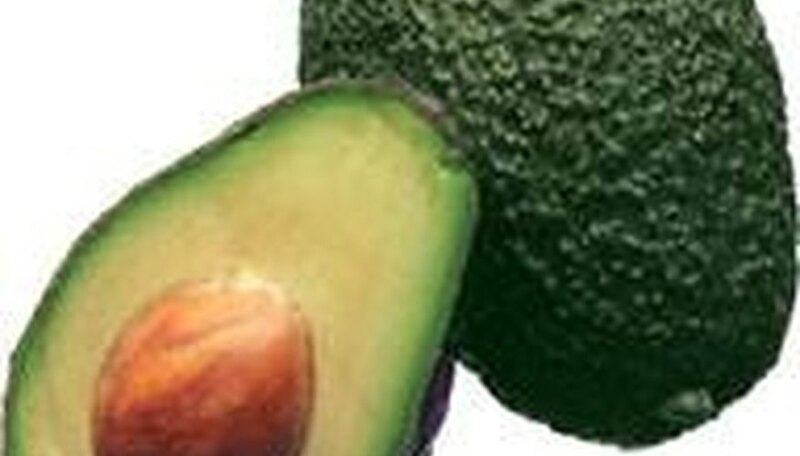 Avocados are grown from avocado trees, and those trees can be a bit picky about their environment. Although there are different varieties of trees, they all have very similar needs. Avocado trees prefer a soil ph of 6.5, with well-aerated soil, as it is a shallow-rooted tree. It should be mulched with a wood mulch in the fall and spring, with the mulch not touching the trunk of the tree. It does not like wind and cannot tolerate freezing, so it can only be grown in moderate climates. The best time to plant an avocado tree is anytime between March and June. Avocados come in many shapes and sizes. They can be egg shaped, oval or pear shaped. They can have bright green skin to greenish brown to almost black. The size, shape, and color of the fruit depends on the variety of tree. Although avocado trees will usually bloom fairly easily, they will not bear fruit unless properly taken care of. They need to be fed and watered well. Avocado trees will bear fruit if given Nitrogen, Phosphorus and Potassium (NPK) in a ratio of 7-4-2, respectively, in a fertilizer that also includes some Zinc. They should be fed a total of 1/3 to 1/2 lb. of fertilizer per year. Avocado trees like thorough watering interspersed with periods of dry soil. This usually works out to a good soil soaking two to three times per week. For a large tree, one watering can mean up to 20 gallons of water.